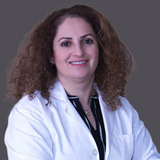 Dr. Suhair Twaij completed her ophthalmology specialty training in the UK in 2012 .She became a fellow of the Royal College of Ophthalmologists UK and was granted the CCT the same year. She completed her MBChB from Baghdad University Medical College. 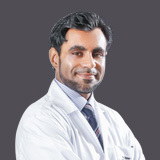 Dr Suhair Twaij has 20 years’ experience in ophthalmology of which 14 years was spent in the UK. She has been working as a consultant ophthalmologist for the past 5 years. One year in South Tyrone Hospital and the last 4 years in The Royal Victoria Hospital in Belfast (NI). She trained in tertiary teaching hospitals (The Royal Victoria Hospital, Mater Hospital and Altnagelvin Area Hospital) within the ophthalmology specialty training programme in Northern Ireland (NI). 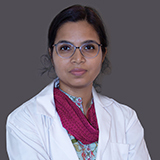 She did a fellowship in the prestigious Bristol eye Hospital to gain subspecialty training in Adult and Paediatric Motility (strabismus) and Paediatric Ophthalmology. Before coming to the UK she worked in Al Mafraq hospital in Abu Dhabi and before that in the Royal Medical Services in Jordan. 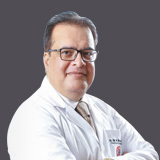 Dr Suhair Twaij has performed over a 1000 small incision cataract surgeries with excellent surgical outcomes. Her complication rate is below the UK average as evidenced by annual surgical audits. She was the lead motility consultant in the Royal Victoria Hospital for the past 5 years. She has performed hundreds of squint surgeries for both adults and children this includes complex surgeries for squints secondary to nerve palsies both acquired and congenital, thyroid eye disease, orbital trauma and re-do surgeries. Botulinum toxin and dermal fillers for aesthetic applications.